FIAV, the International Federation of Vexillological Associations, has called 1 October 1961 the “birth-day of modern vexillology” as it marks the debut of the world’s first journal of flag studies: Gerhard Grahl and Whitney Smith’s Flag Bulletin. 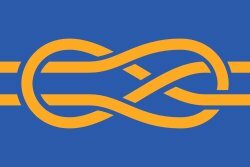 This birthday, I think, calls for an annual celebration of all things vexillological: World Vexillology Day; Vexiday for short. Heraldists have International Heraldry Day (June 10th), pirates have International Talk Like A Pirate Day (September 19th)—is it not time that flag enthusiasts got their day in the sun? This April I pitched this idea to my colleagues in the Portland Flag Association, who thought it had potential for expanding public awareness of vexillology, especially among young people—and generally having fun with flags. With a unanimous vote, the PFA became the first member of FIAV to support the idea and to agree to celebrate the inaugural Vexiday this Saturday, 1 October. Since then, 14 FIAV member associations around the world, including just last month the North American Vexillological Association (NAVA), have followed suit. The PFA will be marking Vexiday with a flag show-and-tell event in a public space here in Portland. Scholars in Eastern Europe will observe it at the First Georgian National Conference of Vexillology and Heraldry. Italian vexillologists are organizing a public event at Sforza Castle in Milan. How will you be celebrating? You might consider joining a flag association, displaying your favorite flag at your home, submitting a design to a flag contest, praising vexillology online (use hashtag #vexiday), or just raising a toast to Whitney Smith or another flag luminary. Let us know at info@vexiday.org. For more information on Vexiday, visit www.vexiday.org. On social media, follow Vexiday on Facebook at facebook.com/vexillologyday, on Twitter at twitter.com/vexiday, on Instagram at instagram.com/vexiday, and on Tumblr at vexiday.tumblr.com. Let’s take one day a year to celebrate flags, flag studies, and flag design, every October 1st!